Cyber-attack is one of the biggest threats to all size of business as well as the individual persons. Yes, most of the companies face problems because of the terrorization of cyberpunks. Specifically, small businesses meet a lot of challenges with the security, and having a security breach is the worst part of any company as it can damage the whole business and let the company into crises. To avoid this horrible situation, larger companies always keep a specialized team to protect their business data. However, how about small business as they can’t afford to hire an expert to maintain the company’s security? Are you a small business owner? Do you aware of the several security threats that could ruin your company? Below are some of the small business security issues that would wipe out your monetary benefits! Most of the small businesses face malware threats and many companies have lost their capital and met with financial crises. Mobile devices that enable access to your business data from a virtual server anytime or anywhere, could be a problem. As you provide access to the employee, some of the employees may store the most sensible data of business in their own systems or PCs, which may not be that secure. Now it may become a significant threat to small businesses if the information ends up in the wrong hands. Such attacks are more common these days, and it is very threatening to companies in general, but especially to small businesses. If your systems are affected by ransomware, computers will be inoperable, and you won’t be able to access any data from your own business computer. This type of cyber attacker is very scary indeed. This a significant threat to small firms, because all the business sensitive data is accessible through virtual servers. Many hackers attack the companies’ virtual server through hypervisor attacks and application layer attacks where it may become a significant threat. Many companies face these problems, as you can see many systems slowing down and some system will even collapse due to worms, virus, Trojans, etc. This kind of challenges can be extra difficult for small firms. 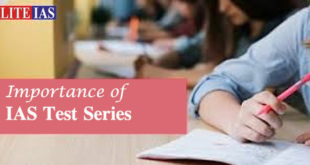 These are the only few security setbacks experienced by small firms, and there are more cases like management console, data encryption threats, web application threats, etc. So do you stay safe from these kinds of threats and prevent cyber-attacks? The best and most convenient key to safeguarding our valuable business data is installing reliable antivirus software. If you are a small business owner, I would suggest you defend your company information with advanced antivirus software and keep cyber threats at bay. There are several antivirus software available in the market, but Bitdefender would be a perfect solution for small business security problems. Bitdefender is the world’s best antivirus with a best AV-test 5.9 in the protection factor which is the world’s best rating until now. And in terms of performance, it’s having a pretty good rating of 5.7 which is the first position. This leading security solutions company is trusted by 500 million online business and users. It offers powerful antivirus for business but has a simple user interface. 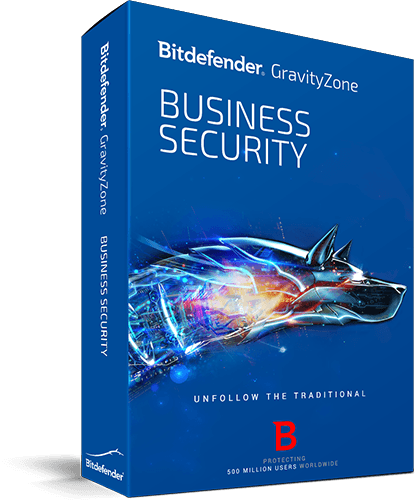 The New Bitdefender Gravity Zone is the ultimate business security solution as it a leading tool for cloud and virtualization. Also, since this Bitdefender for business adapts to virtual and physical systems automatically, it could provide sufficient security for your business and bring the best performance in all environments. Bitdefender’s Gravity zone protects your system from all types of virus and malware attacks. It also helps in protecting your web based cloud console and monitors them remotely through the web-based Bitdefender security panel. It also protects your physical and virtual desktops along with all the servers which are running on the Windows, Mac, and Linux. 1. Protect your Systems from Malware – Bitdefender helps you to look after your business systems and data from all kind of malware, as it is having the excellent list of 14 million malware data where it can stop any malware from affecting your systems. 2. Protects your business from Ransomware – This vibrant application has an advanced protection system which guards your business systems from all the ransomware attacks and keeps your business potential safe from the hackers. 3. Stops all the slowdowns and breakdowns – Bitdefender can potentially prevent any worm, virus and Trojan from your business systems and gives you a maximum performance for your office systems. 4. Monitoring Data – Monitoring data is crucial in any business, and you can easily install and monitor your security remotely through a single cloud console. 5. Management console – Bitdefender has a unique set of database and its management where it doesn’t take any help of third party server, and everything is designed by Bitdefender itself. So there is no chance of breaking down and it also gives you smoother management for thousands of devices at a time. 6. Web Based Security console – It boasts an advanced feature where business employee and managers can quickly log into their account and access the info regarding their company’s files, virus attacks, and everything. 7. Protects business from Web applications – Out of all, it has a firewall and ids capabilities that are crucial in protecting your systems against any internet- based attacks. Offers best antispam protection for web servers and guarantees secure messaging. Contains server and desktop protection, infringement detection and web filtering capabilities. Its cloud-based malware protection services use centralized software suitable for enterprise customers. Allows organizations to host security in their own environment. In closing, if you run a small business, then the best and most affordable security solution is to get the powerful antivirus software from Bitdefender. It can relieve a lot of stress from all kinds of safety problems along with an advanced management console where you can remotely control any tasks. I recommend this dynamic application to get away from all cyber-attacks and stay protected in this modernized cyber world. Over 500 million members are actively trusted Bitdefender for their business and security solutions. So, join them by getting this antivirus software and keep your business safe from cyberpunks and other security threats. I have personally not used the Bitdefender for my PC, but my uncle always use to recommend me. Now you have appeared with a post about it. It looks like it is really worth using.